Mercedes has slightly tweaked the aero package we had seen in Spain to better suit the car to the track. 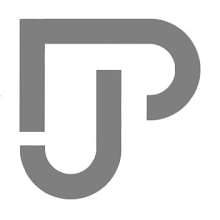 Firstly, the chord of the last flap on the front wing was shortened quite a bit (see picture below). Perhaps more notable, Mercedes decided to add a smaller third element to their T-Wing, which only had two in Barcelona (see comparison below). This device has a dual purpose: in fact, while it generates actual downforce, it also helps smooth out the airflow directed to the rear wing. Aside these changes, Toto’s team also had to tweak the car to make due with the higher temperatures of both track and air. Thus we’ve seen the chimney on the shark fin make a come back for FP3 and the Quali Session. Thanks to this exhaust port, more hot air can be expelled from underneath the engine cover (green arrow). 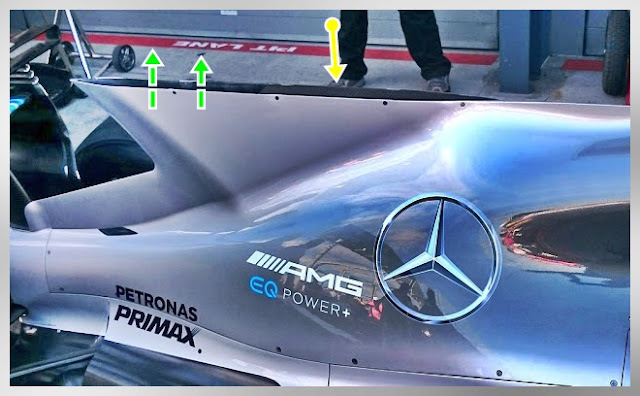 Following the same principle of letting more hot air out, Mercedes enlarged the opening at the rear of the engine cover, similarly to what Ferrari and other teams have done.